It seems meaningful that three of the nine plays in the Yale cabaret fall season have personal names for their titles, another was a biographical piece about a real -life poet, and two others have prominent pronouns (namely we and Secretaries). A most human season. A season of people with names, and their problems. But the play ultimately uses the trappings of 1990s teen melodramas to shift into ABC Afterschool Special TV-movie territory (the hot topic being racism), and from there to tense, visceral moments of swearing, anger and violence. The pop culture riffs turn to dramatizations of disillusionment and pain. This sort of genre-morphing, suspense-building show is what the Yale Cabaret does very well, and I could list you dozens of examples of it going back several decades. Within the simple setting of a cinder block wall, cheap furniture, a road sign and the back end of a car, The Commencement of William Tan creates a fantasy of high school, then busts it up with unattractive intrusions from the real world. It’s an open-eyed transitional phase from a youth protected by parents and teachers into vulnerable early adulthood. It’s a phase you expect the 20-something artists of the Yale Cabaret to have lived through recently and know very well. The show is brisk and merry until it gets menacing. Baize Buzan uses big round glasses and bright hair bows to accent her role as smart-wallflower best-bud Betsy (“I have a very fulfilling relationship with my intellect, thank you very much.”) Jason deBeer seethes and lashes out as the football hero Dutch. Figuring the world out in a calmer way is the title character, William Tan, played with genial blank-slatedness by Eston Fung. There are eight actors in The Commencement of William Tan, but it feels like many more. A community is formed. Small, silly roles such as the “Pom-a-Links” cheerleading squad are given depth, or at least a deeper layer of satire. The script by Don X. Nguyen (an established New York-based playwright who happened to be in attendance at the 11 p.m. performance I saw last night) is inventively staged by Lauren E. Banks so that the action twists and turns around and through the Cabaret space. Even the guy in the sound booth is pulled into service for amusing reactions that keep things moving at a fast clip. There’s something pat about taking an idealized, cinema-ready view of youthful innocence and turning it on its head with bursts of seemingly anachronistic realism and real-life troubles. But in the context of the Yale Cabaret, which is made for such short-form quick-changing style-shifting bursts of drama, The Commencement of William Tan goes down fast and easy, with conflict and climax and the sultry tones of Kim Carnes. 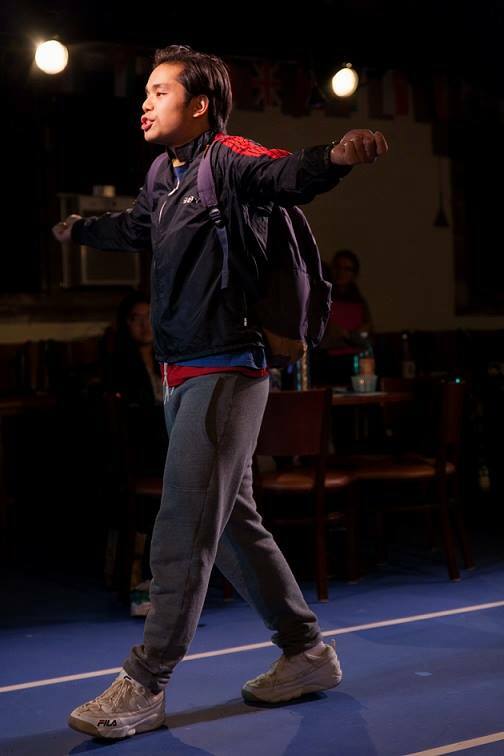 The Commencement of William Tan has two more performances, tonight at 8 and 11 p.m. at the Yale Cabaret, 217 Park St., New Haven. (203) 432-1566, http://yalecabaret.org.